The video recording of the event can be viewed at the channel of Pasts, Inc. here. How can a region seemingly slip in and out of existence? Central Europe is one of the key notions of classical geopolitics yet it has always been a somewhat elusive concept. Originally perceived as a plan for a German dominated political and economic union, it subsequently emerged to tantalise and threaten leaders in the East and West in a variety of forms. Over the course of the 20th century, Central Europe unfolded as a plan for a federation of buffer states between Russia and Europe, an abstract notion describing a region belonging culturally to the West but kidnapped by the East, and it then emerged as a group of states from the former Eastern bloc making a successful transition to NATO and the European Union. More recently, resurgent nationalism, rising populism and challenges to the rule of law in the region have once again thrown wide open the question of what is the East, West and Centre of Europe. 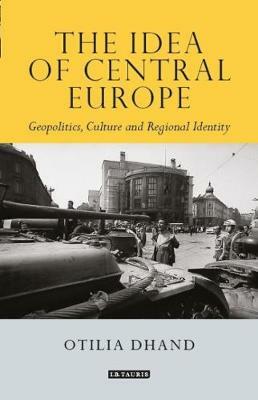 Otilia Dhand provides a critical examination of the concept of Central Europe, from its early inception to the present day. Making extensive use of archival material from Germany, Austria, UK and the USA, she shows how successive manifestations of Central Europe, of whatever vintage, failed to bring about their intended changes on the international structure. The event is open to public, but registration is recommended at pasts@ceu.edu.